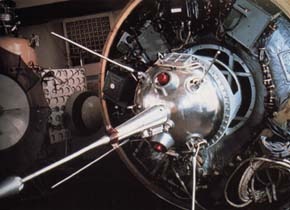 After an aborted launch on 9 September, the Ye-1A probe successfully lifted off and reached escape velocity three days later. Officially named the Second Soviet Cosmic Rocket, the spacecraft released its one kilogram of natrium on 12 September at a distance of 156,000 kilometers from Earth in a cloud that expanded out to 650 kilometers in diameter and was clearly visible from the ground. Fortunately, this sixth attempt at lunar impact was much more accurate than its predecessors. The spacecraft successfully reached the surface of the Moon at 23:02:23 UT on 14 September 1959, thus becoming the first object of human origin to make contact with another celestial body. The probes impact point was approximately at 30 degrees north latitude and 0 degrees longitude on the slope of the Autolycus crater, east of Mare Serenitatis. Luna 2 (as it was called after 1963) deposited Soviet emblems on the lunar surface carried in 9 x 15-centimeter metallic spheres. The spacecrafts magnetometer measured no significant lunar magnetic field as close as 55 kilometers to the lunar surface. The radiation detectors also found no hint of a radiation belt. Luna 2 (E-1A series) was the second of the Soviet Union's Luna programme spacecraft launched to the Moon. It was the first spacecraft to reach the surface of the moon. 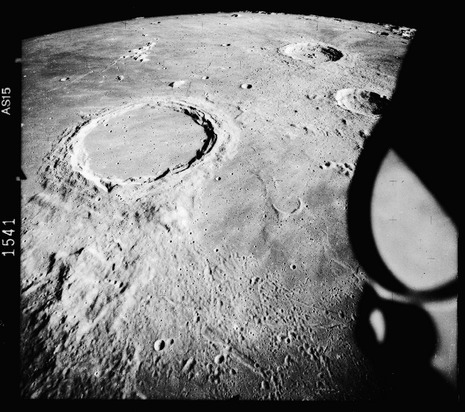 On September 14 1959 it successfully impacted with the lunar surface east of Mare Imbrium near the craters Aristides, Archimedes, and Autolycus. 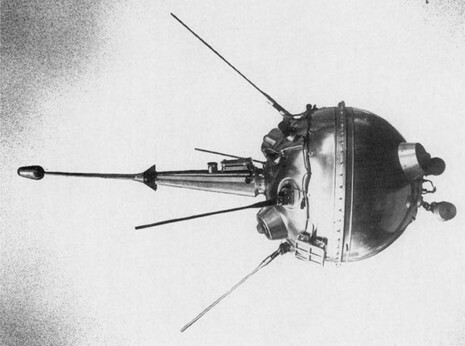 Luna 2 was similar in design to Luna 1, a spherical spacecraft with protruding antennas and instrument parts. The instrumentation was also similar, including scintillation counters, geiger counters, a magnetometer, Cherenkov detectors, and micrometeorite detectors. There were no propulsion systems on Luna 2 itself. The spacecraft also carried Soviet pennants. 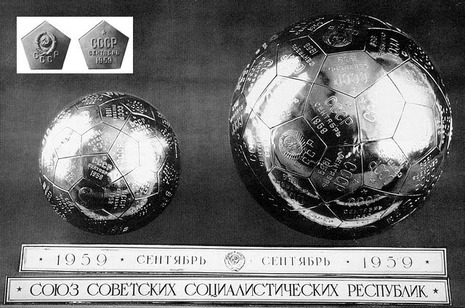 Two of them, located in the spacecraft, were sphere-shaped, with the surface covered by identical pentagonal elements. In the center of this sphere was an explosive for the purpose of slowing the huge impact velocity. This was designed as a very simple way to provide the last necessary delta-v for those elements on the retro side of the sphere to not get vaporized. Each pentagonal element was made of stainless steel and had the USSR Coat of Arms and the Cyrillic letters СССР (Russian; it translates into English as USSR) relief engraved on one side, and the words СССР СЕНТЯБРЬ 1959 (English: USSR SEPTEMBER 1959) relief engraved on the other side. The third pennant was located in the last stage of the Luna 2 rocket, which collided with the moon's surface 30 minutes after the spacecraft did. It was a capsule filled with liquid, with aluminium strips placed into it. On each of these strips the USSR Coat of Arms, the words 1959 СЕНТЯБРЬ (English: 1959 SEPTEMBER) and the words СОЮЗ СОВЕТСКИХ СОЦИАЛИСТИЧЕСКИХ РЕСПУБЛИК (English: UNION OF SOVIET SOCIALIST REPUBLICS) were engraved. On September 15, 1959, the premier of the USSR, Nikita Khrushchev, presented to the American president Dwight D. Eisenhower a copy of the spherical pennant as a gift. That sphere is located at the Eisenhower Presidential Library and Museum in Abilene, Kansas. The only other known copy of the spherical pennant is located at the Kansas Cosmosphere in Hutchinson, Kansas.